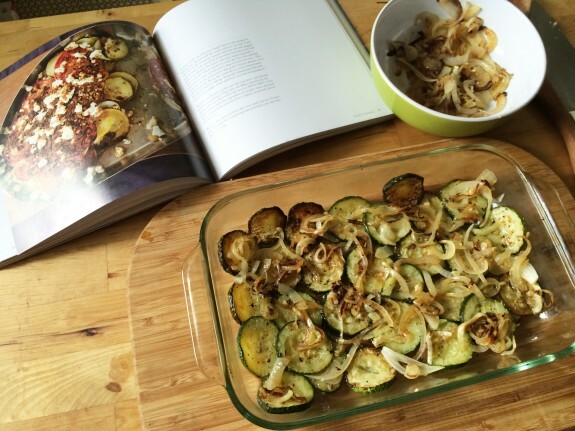 Summer Vegetable Tian—A Reader’s Feedback! Editor’s note: Occasionally I receive the best feedback from my readers and testers about the new recipes that they’re trying out. This was a perfect example. I was so pleased to receive this note from a reader along with photos she took of the Tian of Summer Vegetables from the new Sunday Casseroles. Let me know in the comments how you’ve been doing with your own version of the tian or other recipes that you’ve been tackling! And, of course, I always love to see your photos, so send them to me and I’ll post them on my Facebook gallery! The other day I made the Tian of Tomatoes and Summer Squash with Basil and Mint, from Sunday Casseroles, and it was absolutely fantastic! The kitchen was alive with the smell of roasting vegetables, and chopped fresh herbs. As I layered everything for baking, my husband wandered in to ask when we were having dinner. Here are some pictures of my process. 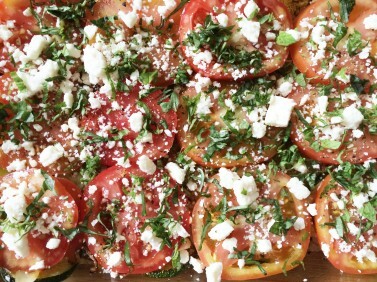 This entry was posted in Food News and tagged reader's photos, summer vegetables, Sunday Casseroles, tian by brosbottom. Bookmark the permalink.